Dannoharu campus is located in a suburb of Oita city. The city has a poplulation of about 480,000 and is surrounded by beautiful mountains near the sea. 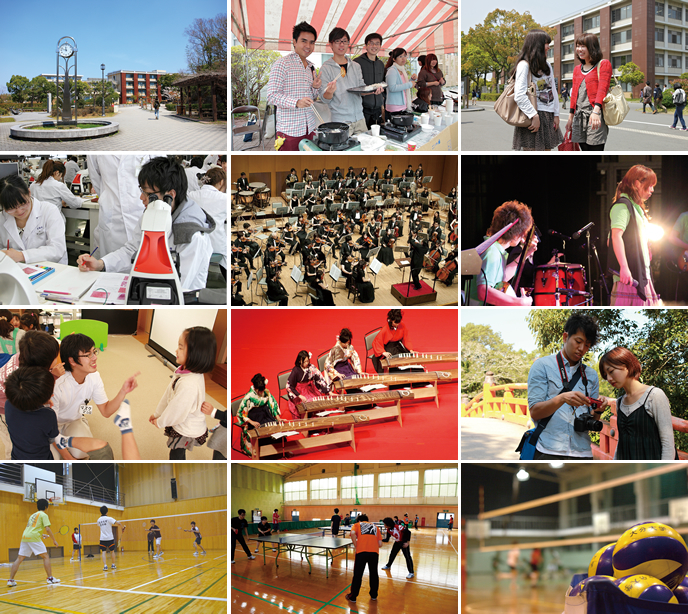 Although it is located only 15 minutes from downtown Oita by train, the university campus is situated in a quiet residential area and is ideal for study.